Get to know Galaxy Zack—and his new home planet!—in this start to an out-of-this-world illustrated chapter book series. 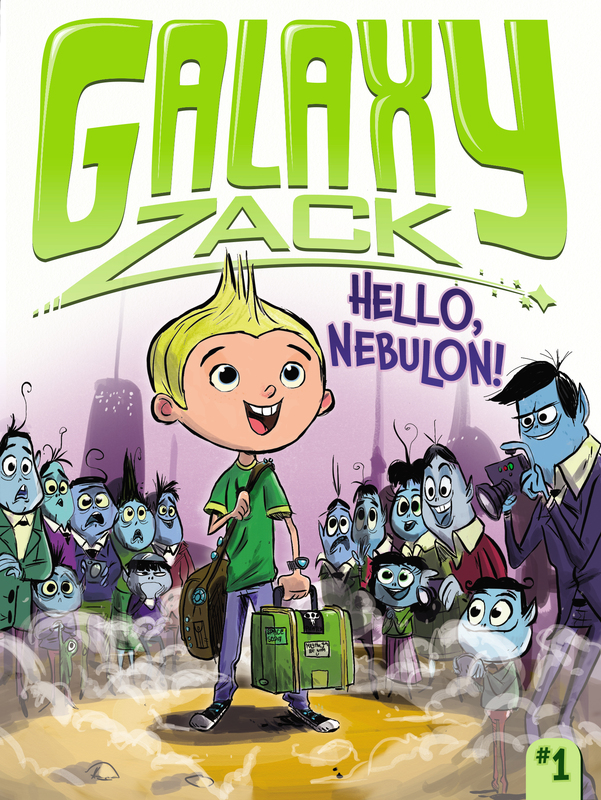 In Hello, Nebulon!, Zack makes the big move from Earth. He is already nervous about starting school and making new friends, but it only gets worse when he dreams that his classmates are slimy aliens with tentacles, pizza comes covered in gross bugs, and he can never communicate with his Earth friends again! Fortunately, when Zack arrives at Sprockets Academy for his first day of school, he meets and befriends Drake Tucker, a Nebulite boy who also loves to explore and learn about the planets. Nebulon isn’t as awful as Zack’s dream, but there are a lot of differences between Nebulon and Earth, and they make Zack miss his home in Dubbsville, Texas, even more. But things start to look up when he receives a mysterious surprise. What could it possibly be? Book Cover Image (jpg): Hello, Nebulon!